That's because Senior District Judge Lee R. West, appointed to the Western District of Oklahoma by President Jimmy Carter, applied the Court's judgment in Samantar v. Yousuf (2010) to rule at the end of last month that common law head-of-state immunity protected Kagame against an Alien Tort Statute suit. Judge West's October 28 ruling, as well as an earlier, June 23, order, have been published as Habyarimana v. Kagame, 2011 WL 5170243. To quote Judge West's June 23 order: "wrongful death, crimes against humanity, and torture," based on state and federal law -- including the Alien Tort Statute. To quote the case caption: "Madame Habyarimana" and "Madame Ntaryamira," the widows of the former presidents of Rwanda and Burundi who were killed following explosion of the plane in which they were both flying on April 6, 1994, following peace negotiations. The incident spurred genocide in Rwanda. As blogreaders well know, leaders of that genocide have been tried by the International Criminal Tribunal for Rwanda -- but its judgments have done little to quell recriminations about who was ultimately responsible. ► Indeed, as we've posted (though the fact is not mentioned in Judge West's orders), a plaintiff in the Oklahoma suit, Agathe Habyarimana (left), has been declared a "menace à l'ordre public," or "threat to the public order," by a French prefecture, and so denied permanent residency status in France, though she's lived there for years. (photo credit) She's the subject of an arrest warrant in Rwanda, and of a partie civile suit in France, both stemming from allegations that she played "a central role in political decisions during the first days of the genocide." ► Meanwhile, the defendant in the Oklahoma suit, Kagame, has long been dogged by charges that he ordered the killing. Moreover, as IntLawGrrl Kate Doty posted, some contend that in his 17 years as president, he's become increasingly authoritarian. 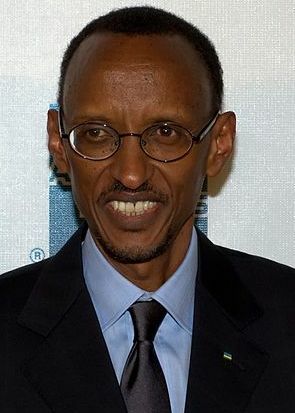 Case in point: as posted, in May and June 2011, Rwanda had jailed a Kagame opponent, U.S. law professor Peter Erlinder. That web of charge and countercharge wove through the Alien Tort litigation. Erlinder, as Judge West's orders detail, was among those who'd tried to serve process on Kagame when he spoke at Oklahoma Christian University on May 1, 2010. They're effort to "tag" the Rwandan President failed -- the U.S. Secret Service protective detail refused to let the would-be process-servers get that close to Kagame. In his June 23 order, Judge West allowed them time to try again. And for Judge West, that was that. The judge's October 28 order recognized that a 165-year "pattern of extreme deference to the Executive Branch" on immunities issues gave way in 1952 to State Department adoption of a restrictive theory of sovereign immunity, and then, in 1976, to the Foreign Sovereign Immunities Act of 1976, which authorized certain exceptions to the default presumption of immunity. In the judge's view, however, that history applied only to foreign state immunity, on account of Samantar. As explained in posts available here, in Samantar the Court rejected invocation of FSIA by a foreign official; it held to the contrary that a foreign official only may lay claim to common law immunities. Thus, Judge West reasoned, "the common law procedure or tradition of deference to the Executive Branch immunity determinations" has full effect in the case of foreign officials. He rejected the Executive's claim, in Paragraph 1 of its Suggestion, that it "has sole authority to determine the immunity from suit of sitting heads of state"' however, citing Samantar, he limited judicial review to instances in which the Executive declines to offer its views on immunity. Where the United States' Executive Branch has concluded that a foreign head of state is immune from suit, and where it has urged the Court to take recognition of that fact and to dismiss the suit pending against said head of state, the Court is bound to do so. And the result in Habyarimana v. Kagame is unsurprising -- according to former Legal Adviser John B. Bellinger III, "No court has ever rejected a suggestion of immunity." Yet the judge's express ceding of all authority whenever the Executive Branch chooses to speak does provoke some surprise. One would have thought that separation-of-powers concerns and 20th-C. developments respecting human rights, as well as foreign state immunity, would have counseled against automatic, ex ante abdication of judicial review.